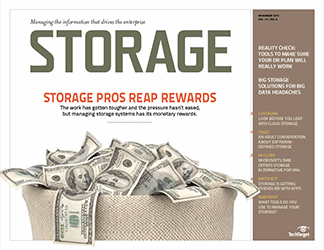 Our annual Purchasing Intentions survey paints a rosier picture than last year for managers stretching their budgets to cover capacity storage purchase plans. 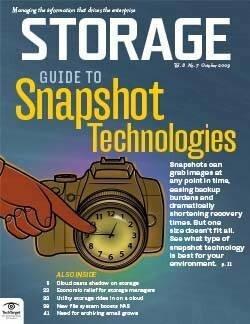 Interest in cloud storage services is growing, managing storage for virtual environments appears to be under control and flash is quickly becoming a basic commodity that no storage array can do without. 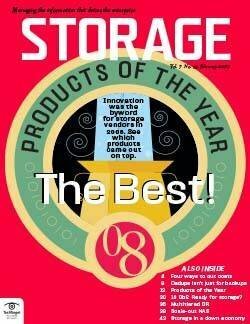 These observations are based on our analysis of the results of the Storage magazine/SearchStorage Storage Purchasing Intentions survey recently conducted for the 13th consecutive year. 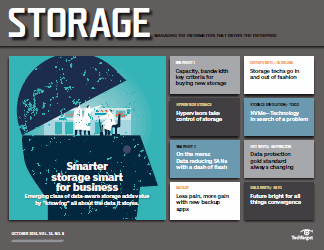 Storage pros shared their insights on our exclusive survey that takes measure of companies' current storage tech environments and their plans for enhancing and evolving those infrastructures over the next year. 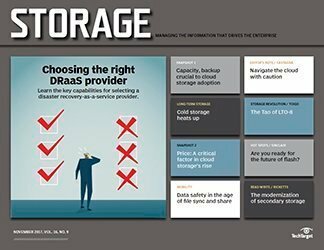 We collected responses on a variety of storage topics from IT decision makers who have direct responsibilities for storage systems in their companies. Those companies averaged annual revenues of $1 billion (down a bit from last year's $1.3 billion); 40% of participating companies have at least 1,000 employees. The survey includes all industries -- led by business services/consulting (13%), government (12%), computer-related services (11%), health/medical (10%), education (9%), finance/banking (8%) and manufacturing (6%). 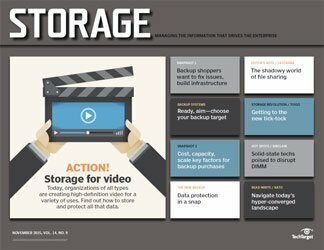 The surveyed companies averaged an impressive 1.4 petabytes of data on all forms of media, including disk, tape, flash, optical and cloud. That number was slightly less than what was reported the two previous years, but that's still an awful lot of data to provide a home for. 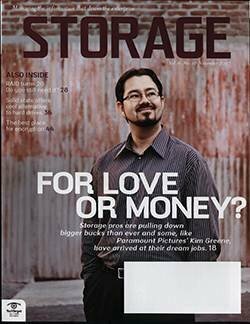 The average storage budget for companies we surveyed is $2.3 million. 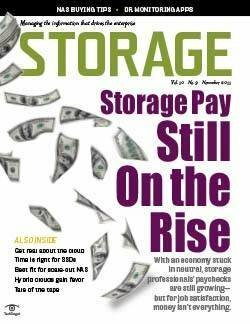 That's the same as last year's storage budget (and a tally that's somewhat inflated by larger companies), but 55% of the companies reported storage budgets under the million-dollar mark. 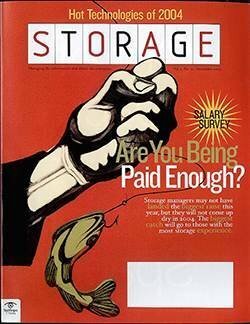 Broken down by company size, we see that smaller companies anticipate having $1 million to spend, mid-sized expect $2.8 million and the well-heeled, larger firms will average $6.4 million for their storage budgets. 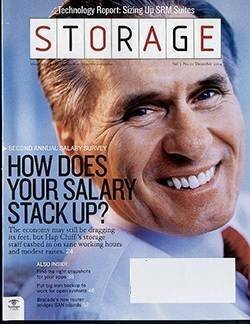 The big news is that companies are reporting an increase of 2.3% when comparing their budgets to last year. For the past three years, we've seen more modest increases in the range of 1.5%, so that 2.3% jump is the biggest increment we've seen since pre-recession, in 2008. 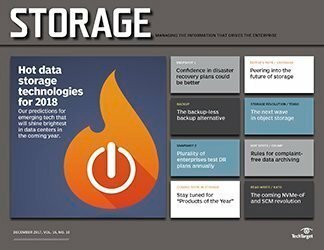 That's good news for storage managers because they're managing an average of 326 terabytes (TB) of active storage capacity that they estimate has grown at a 25% year-over-year clip. 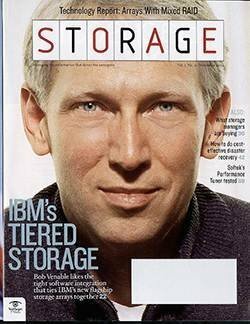 Big companies (greater than $1 billion in annual revenues) have 881 TB under management, but even small outfits (less than $100 million in revenues) have to tend to an average of 152 TB of active capacity. These are the highest numbers we've since we started asking this question six years ago. 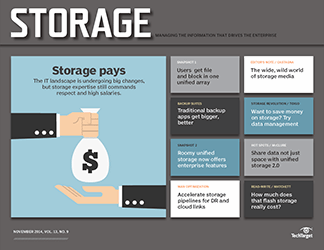 Most shops have a mix of storage systems, but the wild growth of unstructured data helps make file storage the most prominent. 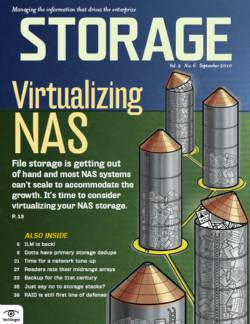 That's certainly the case for this year's respondents as 72% reported that they currently have NAS systems installed. 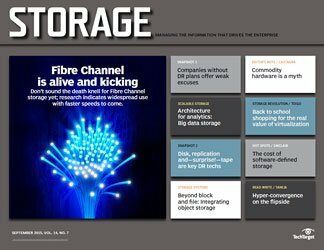 For block storage, we've seen iSCSI gradually overtake Fibre Channel, and the trend continues, with 53% saying they're using IP-based block storage vs. 44% for FC. 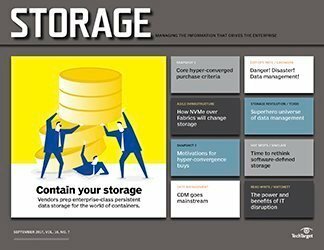 The most surprising development in data center storage is the relatively quick adoption of object-based storage; this year, 12% noted that they've already installed this relatively new tech. 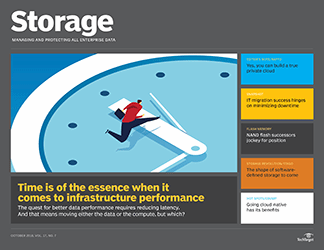 As a group, our respondents expect to add at least 40 TB of additional disk/flash capacity, about the same amount we've seen over the past four or five years. 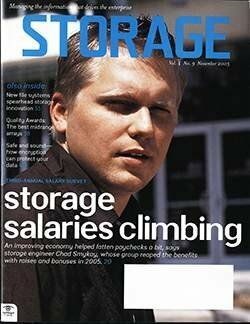 By company size, we see that smaller firms will add 22 TB, midsize 51 TB and the larger companies expect to add 90 TB. When our respondents go shopping for their new capacity, some of it will come in the form of brand new arrays. 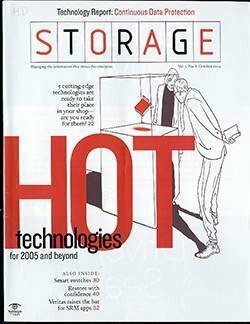 Still, continuing a trend we first spotted some seven years ago, the largest single chunk of storage capacity budget will be used to purchase additional capacity for already installed systems. 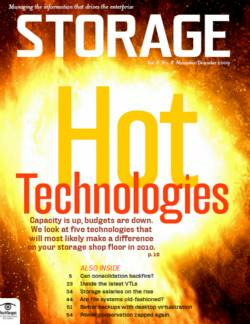 Thirty percent said their primary storage purchases would be for new drives for old arrays. 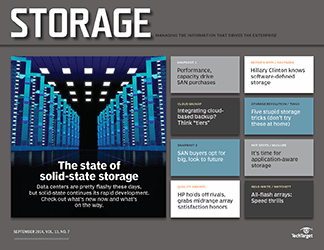 A whopping 39% of respondents say their companies are using solid-state storage in some form, with 9% planning 2015 implementations and 28% evaluating the technology. That leaves just 24% who said they have no imminent plans for flash -- the lowest number we've ever seen. 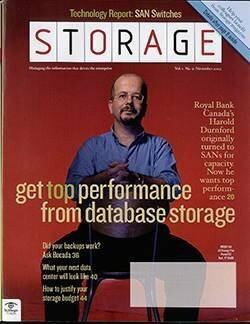 The implementation of choice for flash is still in hybrid arrays (76%), a preference that we've seen for about five years. 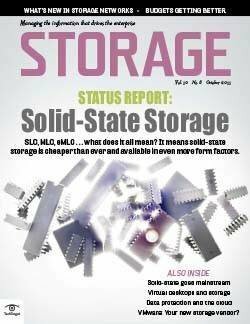 More than half (51%) note that they have flash installed directly in servers, and about the same number (55%) have desktop/laptop users who enjoy the performance of solid state in their PCs. 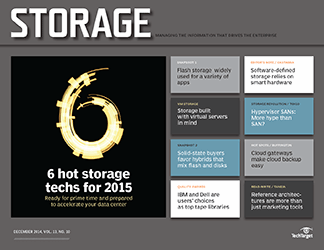 Over the past year, one of the biggest stories has been the proliferation of all-flash arrays. 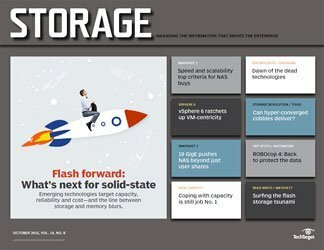 Last year, 6% of our respondents said they had gone the all-flash route; this year, that number has swelled impressively to 22%. 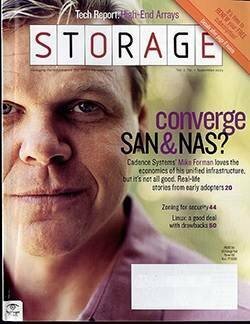 Among current flash users, average installed capacity is 10.5 TB -- a figure that we expect will grow as our group noted plans to add an average of 8.3 TB of solid-state storage in 2015. 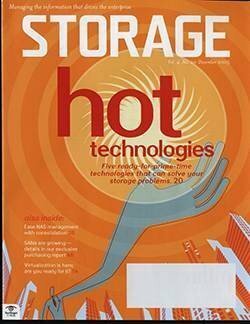 The most frequently cited reason for adding more flash storage is to provide more performance for existing applications (55%); supporting virtual server environments was the reason for 38%, with optimization/consolidation projects (35%) and ensuring adequate performance for new apps (31%) following closely. 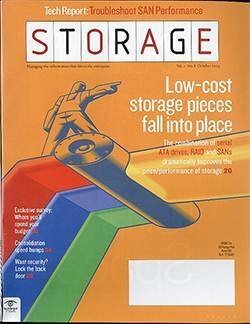 Not too long ago, the biggest struggle that many storage managers had was trying to make their traditional storage systems fit into a virtualized server infrastructure. 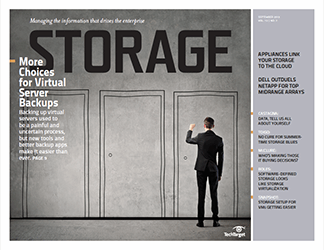 Today, much less sweat and tears are shed over configuring and provisioning storage for virtual machines (VMs). 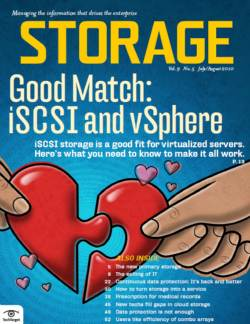 That's because new storage vendors have rolled out VM-specific storage systems and the traditional storage vendors have finally gotten their systems into virtual server shape. 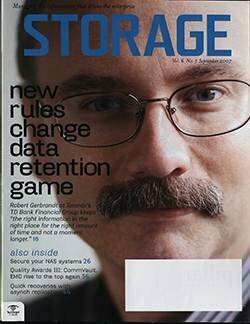 When VMs first began to sweep through data centers, most storage managers opted to support them with their highest performance storage, so FC was the protocol of choice. 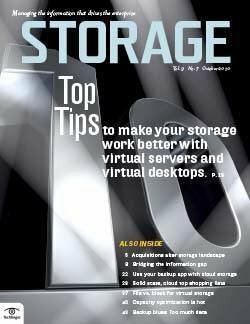 FC is still the leader, but barely so: 33% say FC is the main type of storage they're using for virtual servers while 31% are using iSCSI. NAS is a distant third (18%). 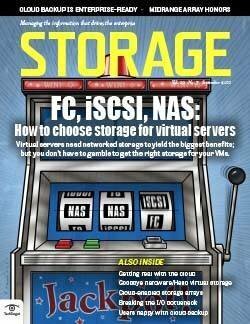 Far fewer companies have ventured down the virtual desktop infrastructure path, but among those who have, 18% are supporting the virtual desktops with FC storage; 14% are using iSCSI and 12% NAS. Those numbers have been fairly consistent spanning five years of surveys. 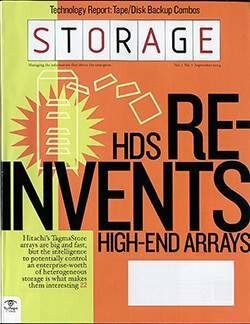 Alternative storage architectures are at the core of two of the hottest new data center/storage techs: hyper-converged infrastructure and software-defined storage (SDS). 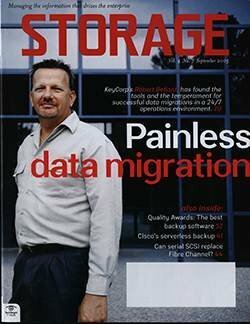 Hyper-converged combines storage, servers and networks in the footprint of a server and then combines and shares resources in a grid arrangement; SDS puts all the smarts in the software and eschews storage-specific hardware. 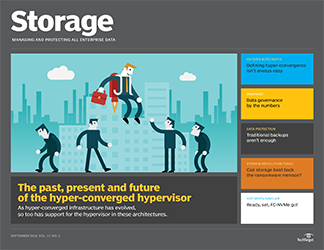 Our respondents include a number of early adopters -- 11% say they've deployed SDS and 8% have hyper-converged systems in place. But another 8% and 7%, respectively, have planned implementations with more than twice that actively evaluating these alternatives. 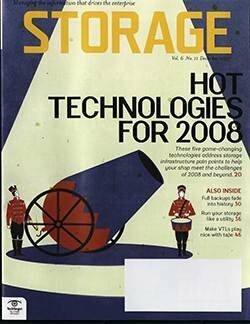 Last year, nearly 70% of respondents said they weren't using cloud storage services yet, and the year before the number was even higher at 78%. 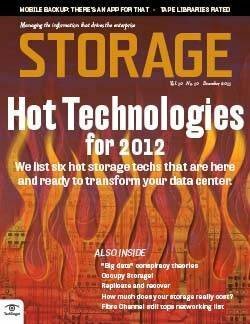 This year's tally -- 56% say they're still not cloud storage users -- reflects a swing of more than 20 percentage points. 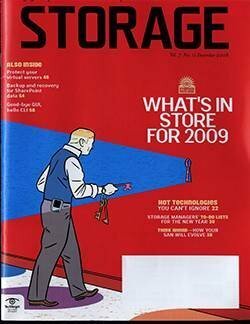 Clearly, cloud storage adoption is on the rise. 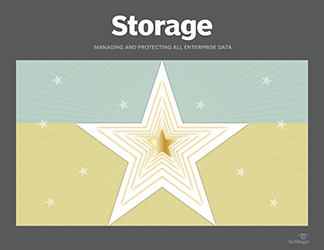 For companies using cloud storage for non-data protection services, the most popular use is for storing primary data (26%); 13% say they use the cloud to tuck away nearline data. 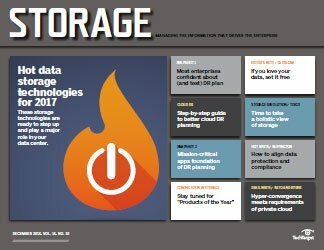 The fastest growing cloud storage application is archiving: 15% say they're archiving to the cloud now compared to 3% just two years ago. 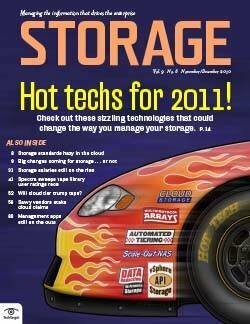 Current cloud storage users say they have an average of 15 TB of data stored in their cloud services vs. the 13 TB reported last year. 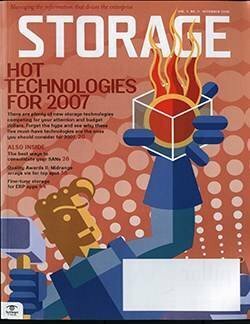 Those users seem convinced of the viability of cloud storage and plan to add capacity or services in 2015: 47% will more capacity for primary data, 33% for archiving and 32% for nearline data. 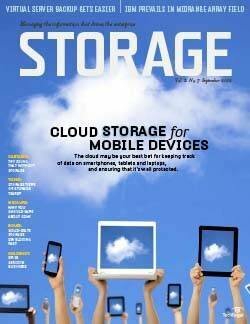 With the number of mobile devices in use growing rapidly, file sync-and-share is getting plenty of attention. 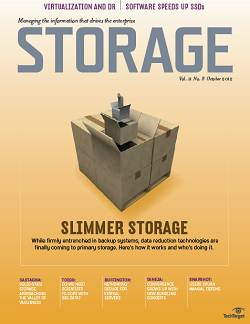 Thirteen percent of respondents say their companies are using public sync-and-share services, and 12% say they've installed in-house sync-and-share systems. 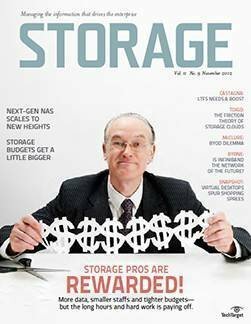 Spending for disk-to-disk backup systems continues to be healthy, with 31% saying they'll increase their spending in 2015 and nearly half (47%) noting that they'll spend this year at last year's levels. 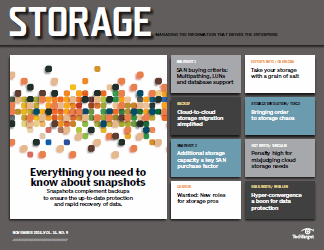 The most popular backup infrastructure (59%) features a disk system configured as a backup target -- a scenario that's been the leading option for disk-based backup for the 10 years we've asked the question. 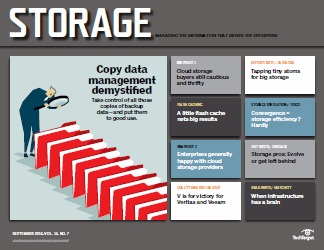 Thirty-one percent are using some form of deduplicating hardware in their backup process, while 25% are using continuous data protection (CDP) in some form. 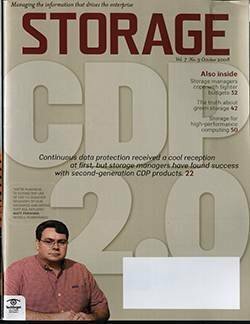 The CDP number was stagnant for many years, but has risen steadily over the past four years. 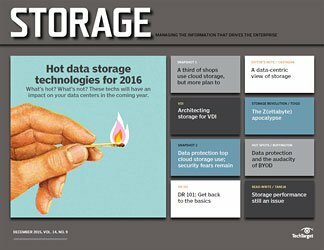 For companies adding backup tech in 2015, dedupe (19%) and CDP (16%) top the list. 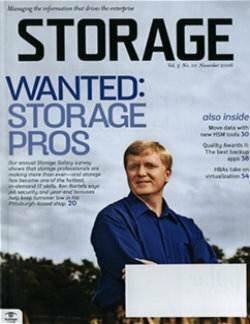 Cloud storage services first made their mark offering convenient and low-cost backup. 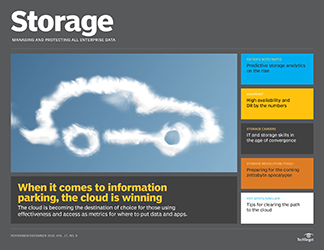 Forty-one percent of our reporting companies are using cloud backup for at least some data. 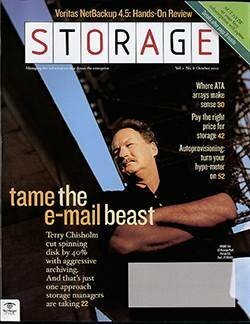 The data most frequently backed up to a cloud is from email applications, followed closely by data required for disaster recovery. 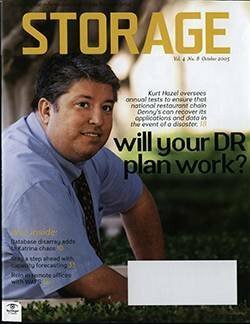 Cloud-based disaster recovery is a fast growing area, with 23% noting they'll increase spending this year for cloud DR services. 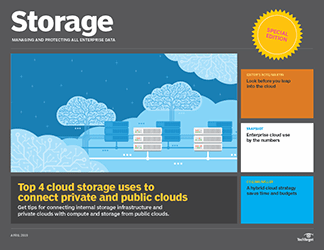 On average, cloud backup/DR users have 14 TB of data stored in a cloud backup service; 41% of those users have 10 TB or more of backup data stored in the cloud. 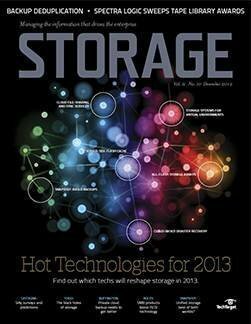 Twenty-one percent expect to increase their spending for cloud backup this year and 25% saying they'll spend at 2014 levels. 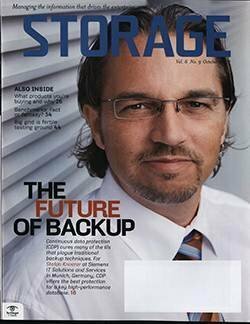 This just in from the "tape is dead" department: only 45% say they will ultimately spin off some of their backup data to tape (it was 79% five years ago). 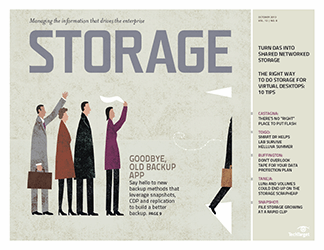 On the other hand, 39% say they'll spin some or maybe all of the backup data into the cloud. 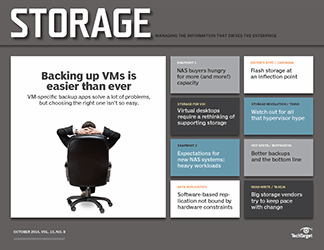 Spending for storage management software has been in the doldrums, and what little buying activity did occur was spurred on a bit by the need for new tools to manage storage in virtual environments. This year, 30% of our respondents say they'll increase their spending for management tools, about four points higher than the past two years. 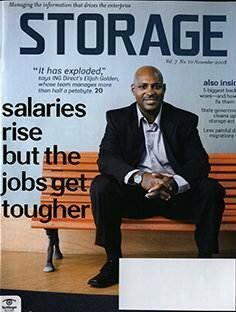 They want help managing more storage resources with the same staff (30%) traditionally the most cited reason. 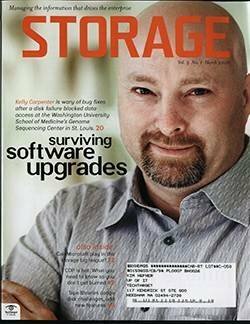 Seventeen percent hope to use the software to simplify managing mixed storage environments, and a similar number want to use installed storage more efficiently. 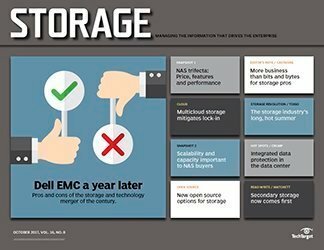 Over the years, storage users have pressed their vendors to make more efficiency apps -- like thin provisioning -- available and the vendors have responded well. 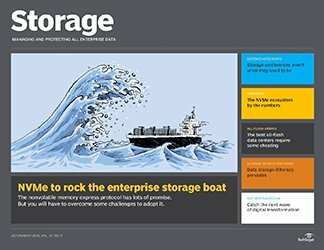 Thin provisioning is the most widely use efficiency tech, with 46% saying they're using it now, 6% planning to add it this year and 16% currently evaluating it. 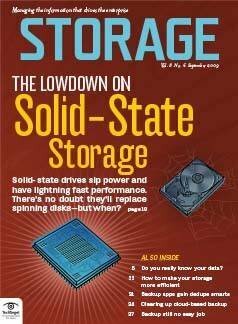 Solid-state storage has help promote a number of efficiency techniques, including tiering, compression and primary storage deduplication. About a third of our respondents report that they use each. Another 11% to 13% are planning to buy these techs, and 26% to 29% evaluating them this year. They have all they need already (31%). They lack the budget for these items (29%). 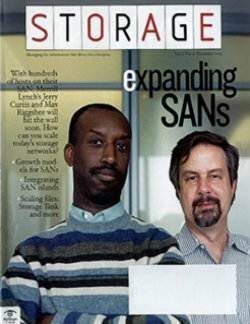 They use the software bundled with their hardware (21%). 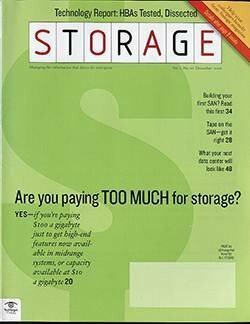 What are your storage purchase plans? I'm not sure 39% (for flash) constitutes a "whop." 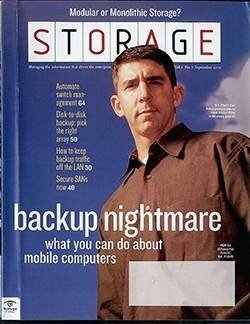 Frankly, I'm more surprised that 56% say they don't use cloud -- or, at least, *think* they don't. 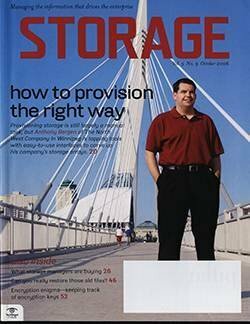 Why are you surprised with the cloud numbers? 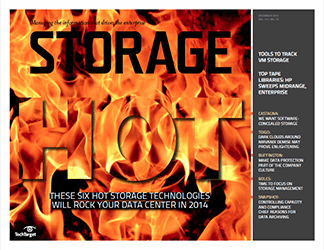 Have you gotten too caught up with all the vendor hype? 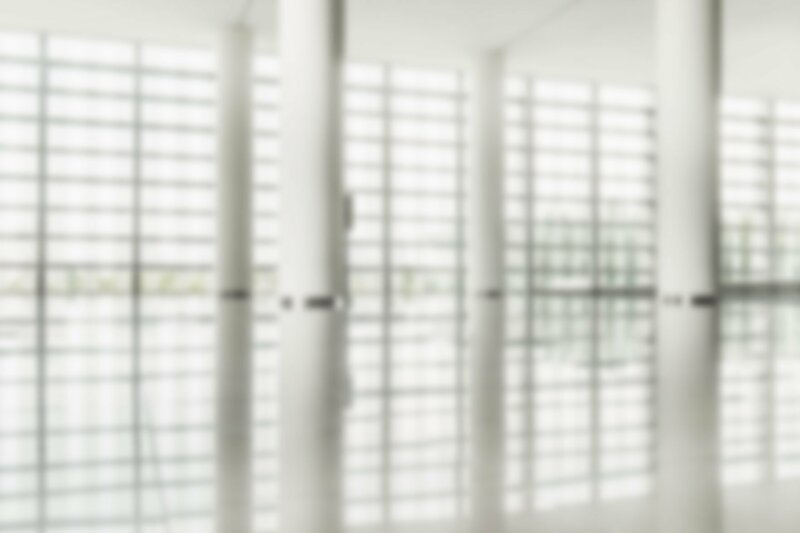 If you talked with users, you'd know that the data we collected accurately reflects what's really going on out there.